TORONTO, October 17, 2018 – Aggressive regulation of global audit and advisory firms is yielding limited results, according to a new study of the global audit market by Source Global Research. 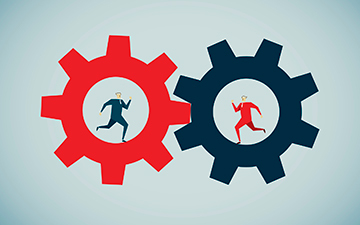 The report finds that mandatory audit firm rotation (MAFR) has been unsuccessful in diminishing the dominance of the Big Four and has led to higher audit fees in the United Kingdom. For the Canadian accounting profession, the report provides more ammunition in its opposition to MAFR and related regulations. “The Audit Market in 2018” presents financial data provided by 405 large companies through public filings in eight countries internationally: the United States, United Kingdom, France, Germany, South Africa, Australia, China and Singapore. 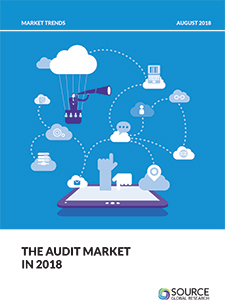 Visit the Markets Trend Programme page at Source Global Research to access its audit and consulting reports, including "The Audit Market in 2018." The U.S. leads all eight countries in the length of auditor tenure. Of the 100 U.S. public companies analyzed, the report found 64 had audit firm appointments of more than 20 years, with 1977 as the average year of appointment. “Pressure from investors concerned about audit quality could see this number begin to drop over the next few years,” says the report. Notably, 72 per cent of client companies surveyed agreed there should be term limits on tenure, with 95 per cent citing 10 years or less as a reasonable time limit. China leads the world in tenure regulation. Government regulation requires a tender every three years and firms can serve no more than five years. Its average year of appointment is 2011, as the Chinese government introduced MAFR for state-owned enterprises and financial institutions in 2010. Unlike the U.S., where mandatory reporting of audit tenure was implemented in 2017, Canadian regulators do not require such tenure disclosure. Due to the number of cross-listed Canadian companies, however, information is becoming available. Ernst & Young LLP, for example, has served as Manulife Financial Corporation’s auditor since 1905, according to consolidated financial statements released in 2018. In 2012, the U.S. Public Companies Accounting Oversight Board (PCAOB) released a proposal to introduce MAFR, but this was abandoned in 2014. In 2014, the Chartered Professional Accountants of Canada (CPA Canada), the Canadian Public Accountability Board (CPAB) and the Institute of Corporate Directors (ICD) issued an editorial warning of the dangers of audit reform in Europe, citing two audit reforms in particular: mandatory firm rotation and restrictions on the provision of non-audit services. CPA Canada and CPAB have long taken the view that the way to improve audit quality is not through MAFR or tendering but through mandatory audit firm review at least every five years. In July 2018, Deloitte Canada issued a report calling on audit committees to conduct unbiased and thorough evaluations of external auditors and providing a guide to the kind of questions to be asked. Is MAFR sending audit fees higher? Higher audit fees have long been cited as an unintended consequence of MAFR. “The Audit Market in 2018” finds that, while fees in the MAFR-free U.S. have increased an average of five per cent, fees have increased by 10 per cent in the UK FTSE 100 group, admittedly at the higher end of the client market. That said, both auditors and their clients anticipate that digital technology will exert downward pressure on fee structure as more automation is introduced. “Robotic process automation (RPA) is having a transformative impact on the cost structure of audit firms,” says Bob Dohrer of RSM Global. The report also finds that non-audit work, as a percentage of work performed by audit firms for their audit clients, is in decline, which it attributes to the “growing drive” for good corporate governance. Of the 405 companies worldwide that were surveyed audit fees increased by six per cent, while audit-related and non-audit services declined by five per cent. The conflict of interest and potential influence on audit independence of growing consulting work has been the subject of “chatter,” according to the report, “and a possible target for additional regulation in the future.” In fact, no less than the Wall Street Journal has reported that consulting is a “cash cow” for the Big Four, providing growth not provided by their core, traditional business. Since 2012, combined global revenue from consulting and other advisory work at the Big Four has risen 44 per cent, compared to three per cent growth from auditing. As reported by the WSJ, the bulk of the Big Four’s revenue now comes from consulting and advisory: $56 billion last year, compared to only $47 billion from auditing. The report notes high-profile corporate failures in the U.K. but was likely published too late to note that regulation of the audit profession is now under review. “Not everyone agrees that quality is going up, however, with the UK’s Financial Reporting Council [FRC] providing a powerful dissenting voice,” according to the report. This month, the U.K. government announced that its Competition and Markets Authority, an oversight body to the FRC, would undertake a review that included a review of the FRC itself. The CMA review will include a look at the dominance of the Big Four and mandating the separation of audit and non-audit services. Colin Ellis is the managing editor of Canadian Accountant. Visit the Markets Trend Programme page at Source Global Research to access its audit and consulting reports. Why invest in Canadian companies given recent court rulings?